The Wayback Project Uses Virtual Reality To Care for People with Alzheimer’s! The Wayback Project is a virtual reality film series that recreates sights and sounds of yesteryear to help people living with dementia, their families and friends, to connect and to share memories. The Wayback project plans to expand into a series of virtual reality films. For the pilot episode, the Wayback chose to recreate the Queen’s coronation day from 1953 as it was a day that involved the nation in some way and resonates well with the age group of the majority of Alzheimer’s sufferers. The Queen’s coronation day recreation was filmed from scratch and in 360, using the latest camera and sound technology so that viewers can fully immerse themselves in the real-life environment. 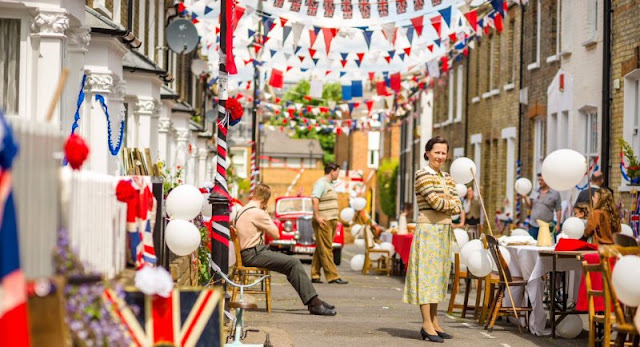 The recreation was captured over 2 days by Thomas Thomas films who completely transformed a North London street into an incredibly authentic scene from that day. What's neat about this virtual reality recreation is that people living with dementia or Alzheimer's is able to immerse themselves in the moment and actually feel the emotions which might evoke or trigger a memory. To immerse yourself in the Queen's coronation day recreation you only need a pair of virtual reality glasses and the Wayback app which is available for FREE on the App store (soon coming to Android).